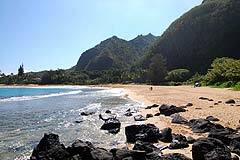 Kauai beaches are most noted for their beauty, serenity and powerful ocean. 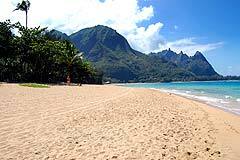 Popular Kauai beaches include Ke’e beach, Hanalei Bay, Anini beach, Lydgate Beach Park, and Poipu Beach Park. 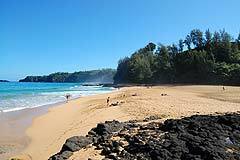 Kauai has many reefs and so snorkeling can be good when the ocean is calm and the water isn’t too murky from sand and plankton. 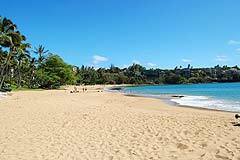 Kauai’s best snorkeling can be found at Tunnels beach, Ke’e beach, Lawai beach, and Lydgate park with Lydgate being well suited for beginner snorkelers. 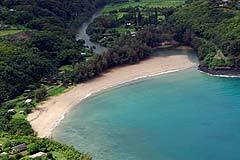 For surfing, Hanalei Bay, Kalapaki beach, and Kiahuna beach are sure to please. 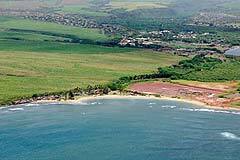 Polihale beach park on Kauai’s west coast marks the end of a stretch of 12 miles of sand that begins at Kekaha beach. 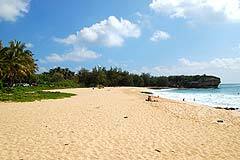 Secret beach, Lumahai beach, and Nukolii beach usually don’t have favorable swimming conditions but are also majestic and great for long walks and exploring. 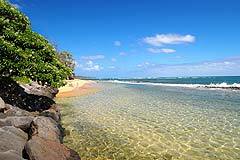 Ocean conditions are usually mild due to the bay's location, although the water is often murky. 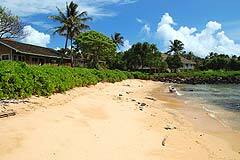 Adjacent to the highway after leaving Kapaa. 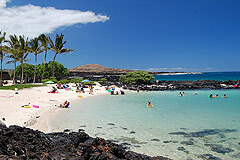 Normally best suited for more experienced swimmers, body borders and surfers. 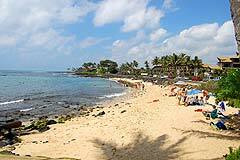 A popular beach park with picnic area and playgrounds. 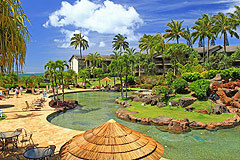 Boulder enclosed ponds for protected swimming. 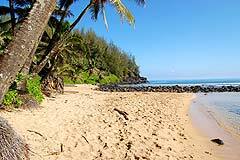 A surf spot with swimming when the ocean is calm. 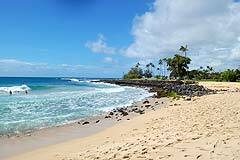 Two miles long with excellent surfing, swimming, and boogie boarding depending on ocean conditions. 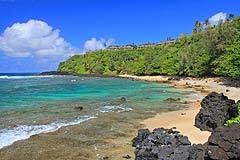 Beautiful beach with nice snorkeling when the ocean is calm. 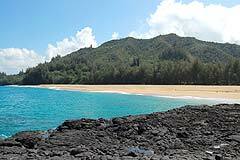 Good snorkeling beach when the ocean is calm, and one of the most popular on the North shore. 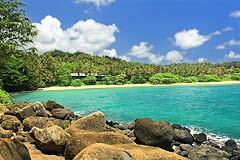 A beutiful and secluded beach. 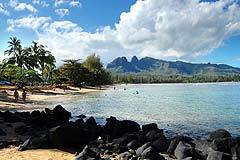 Potential for good snorkeling, but extremely deceptive conditions with strong currents. 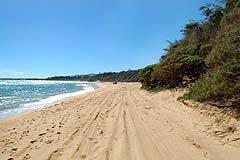 A very long and wide beach. 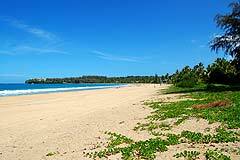 Most of the beach is only suitable for walking due to strong currents, but the far east end is swimmable when the ocean is calm. 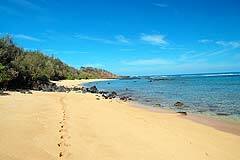 A nice beach to visit when the ocean is calm and winds are lights. 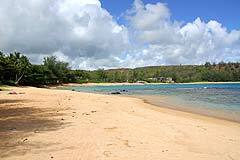 A 5 minute walk past the end of Larsens beach brings you to this secluded beach. Not good for swimming due to many rocks. 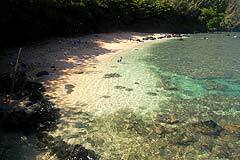 Snorkeling possibilities? 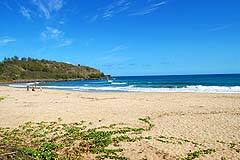 A popular surf spot especially during the summer. 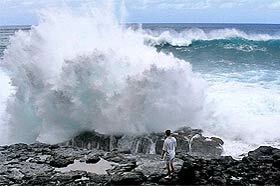 Strong currents make it unsuitable for swimming most of the time. 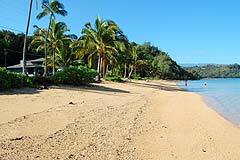 A secluded beach that is often empty. 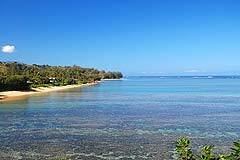 Average snorkeling when ocean is calm. 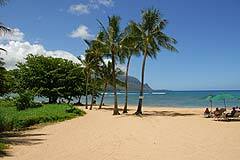 Mosquitoes are often a problem, making sun bathing questionable. 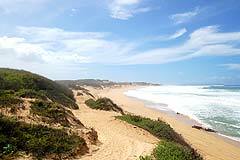 This is the long picturesque beach that is seen from the lighthouse. 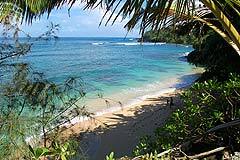 Rough ocean conditions in the winter, but often swimmable in the summer. 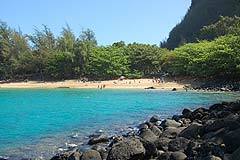 One of the Kauai's best snorkel spots when the ocean is calm. 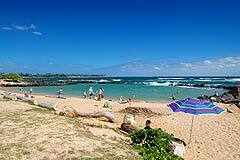 This small beach in a tucked-away section of Poipu is reef protected and great for children, but most of the water is rocky so swimming isn't great. 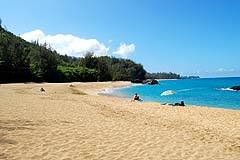 A very popular boogie boarding spot, usually not suitable for beginners. 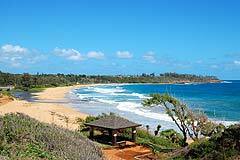 Kiahuna beach offers reasonably good swimming, snorkeling and body boarding and is also a popular spot for surf lessons. 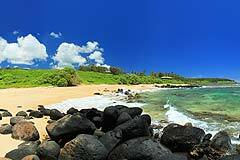 Lawai beach is the favored south shore snorkeling destination. 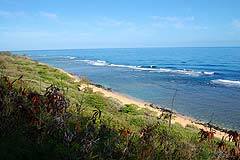 Maha'ulepu beach and trail are one of Poipu's hidden treasures. 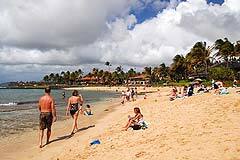 A popular beach that often offers good swimming and snorkeling, with a section well suited for children. 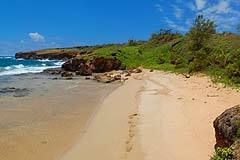 The beginning section of Hawaii's biggest beach. 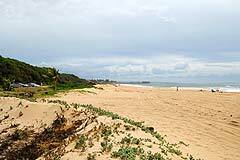 With strong waves and currents the beach is usually not well suited for swimming, and the southern portion often has brown water.